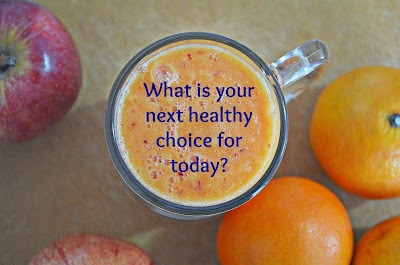 Ruthless Love: Wellness tip #1 : one small choice goes a long way! Wellness tip #1 : one small choice goes a long way! What will your choice be? Will it be to go for a quick walk / prayer time, will it be to ask God for help today, will it be to forgive yourself or someone else? To chug some water? To make a quick smoothie? Whatever that healthy choice is, making a good choice from the first moment, if that means crying out for God's strength, or the support of a friend/spouse, just do it! For me, it was choosing to attend a Christian yoga class with a friend. It's 30 minutes away, and somewhat early, so it wasn't really what my flesh wanted, but having that time in prayer, movement, truth, and fellowship was a great way to start the day. To be honest, as soon as I walked out of class... the enemy was right there again, tempting me with doubts, fears, and sinful thoughts, but making that first good choice helped me to choose again... to fight. It's like a snowball effect, each good choice making you stronger for the next one.